Please visit the new painted Lady fingers facebook page. There, I will keep you updated regarding blog posts and the latest information about nail polish and beauty. The fauna that enjoys visiting this site may occasionally fly, leap, crawl, hop, run or prance over to facebook. You may also see a few flowers blooming there as well. As painted Lady fingers is settling in, I would appreciate it if you would like the page. I look forward to encountering you on facebook! Have I slipped into a dream or did Color Club just bring to life a sparkling fantasia of glitter polishes? I am besotted with all six of these shades! Color Club consistently makes the best glitter layering notes. I find myself returning to past collections when creating nail art. The Backstage Pass Collection has the potential to become my favorite Color Club grouping of all time, though Glitter Vixen will always remain a first love. Are you ladies as mesmerized by the Backstage Pass Collection as I am? Please share your favorites in the comments. Below is the press release information: Please position yourself before a fainting couch and then click to enlarge the photo of glitter utopia. 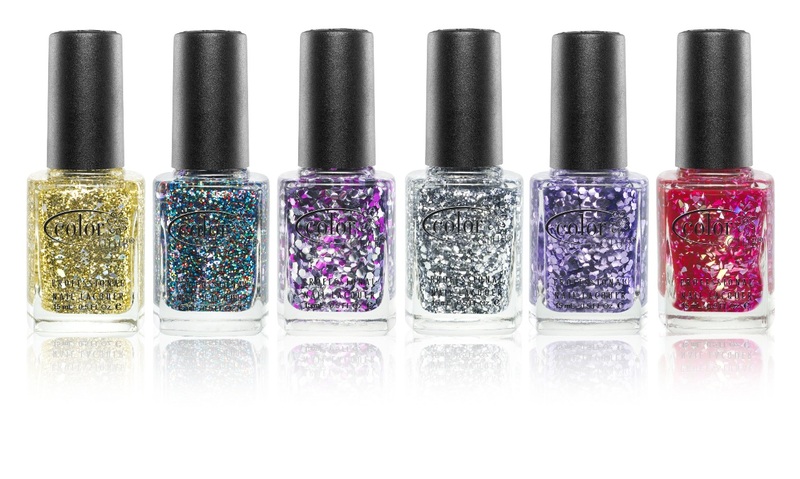 Get Your Rock Glam On this October with a new Rockin' Glitter Collection from Color Club. September 2011: New York, New York. 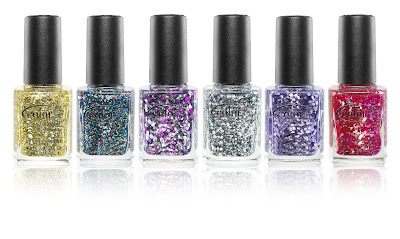 Color Club, the veteran nail polish brand, announced today the debut of Backstage Pass, a new rockin' glitter nail polish collection. The aptly named collection features six nail polishes, from Wish Upon A Rock Star to Platinum Record, that are sure to rock your world. Whether you are a rocker, or just aspire to look like one, this new vegan, Formaldehyde, Toluene, DBP and paraben-free collection is your ultimate backstage pass and sure to be a hit! All Color Club products are made in the USA and not tested on animals. Products are available at shopcolorclub.com. Anti-Puff Brightening Gel by Refinee Age Reversing Skin Care has been a useful supplement to my daily skin care routine. This treatment contains soy peptides to help reduce the look of fine lines and wrinkles and minimizes puffiness. The gel formula is filled with skin calming botanicals including extracts of japanese green tea, gingko biloba, chamomile, coneflower and arnica. Anti-Puff Brightening Gel has a clear, lightweight formula that disappears into the skin. Because it absorbs readily, leaving no discernible residue, I favor it as a daytime treatment. It works beautifully as a first layer beneath makeup primer and eye shadow. Designed to benefit all skin types, I find Anti-Puff Brightening Gel calms my dry skin. Although it is recommended for drier skin to wear it as a layer beneath Refinee Anti-Aging Eye Treatment, I found it effective when used singly. The light consistency would be equally useful for normal to oily skins. This gel does a notable job of reducing the appearance of wrinkles. In the first week, used morning and evening, Anti-Puff Brightening Gel erased the look of fine lines along the perimeter of the half moons under my eyes. If you have the beginnings, or even a progression, of crow's feet, this treatment will seem magical. As the product name suggests, it will also deflate puffiness. It helps transform the eye area from puffy to refreshed. It also gives a nice lift to the area above the contour. If you are going to take the time to do a an eye makeup look, starting with Anti-Puff Brightening Gel will give you less issues to cover. Ingredients: Water, Glycerin, Glyceryl Acrylate/Acrylic Acid Copolymer, Witch Hazel Extract, Soy Peptides & Hydrolized Rice Bran Extract and Oxido Reductases (ReguAge) Sodium Hyaluronate, Aloe Vera Extract, Japanese Green Tea Extract, Gingko Biloba Extract, Chamomile Extract, Coneflower Extract, Arnica Extract. Combining Soy Peptides with Hydrolized Rice Bran Extract and Oxido Reductases yields a prized grouping to encourage micro-circulation in the blood around the skin. This results in improvement of dark circles and puffiness and smoother skin texture. Coneflower Extract is derived from the plant Echinacea, prized for its immune support function. This skin healing ingredient has anti-inflammatory properties. If you are searching for a quality treatment to diminish puffiness, wrinkles and dark circles, Anti-Puff Brightening Eye Gel gets my highest recommendation. It's a fantastic multi-purpose gel that soothes and nourishes the delicate skin around the eyes. Anti-Puff Brightening Eye Gel was provided for review. A .5 ounce (15 G) tube retails for $31 and can be purchased at refineeskincare.com. Nubar sent me information to share about the upcoming Jeans Collection. Sold as a set, there are three blue polishes offered at a price point of $19.99. Faded Jeans: A light blue shimmer. Boyfriend Jeans: A medium blue creme. Dark Wash Jeans: A dark blue creme. While there isn't an official release date at the moment, the Jeans Collection is expected to appear at bynubar.com at the end of next week or early the following week. I am excited to try Boyfriend Jeans. I love the grey undertone! I wonder if this shade will be a cadet blue. I'm pleased that Nubar is offering their own take on the denim color trend, at a much more accessible purchase price than Les Jeans de Chanel. What do you think of the blue focus for fall? Do you plan on wearing blue manicures this season? As a night owl and perpetual insomniac, I am always eager to try a new concealer. Hard Candy Undercover Agent presents a dual approach to imbuing the eyes with a well rested look. The product offers an undereye brightener and concealer in one sleek package. The brightener is in the tube. The concealer stick is in the lid. The first step in using Undercover Agent is to apply the brightener, a semi sheer white gel that blends easily into the skin. With the description undereye brightener, I was anticipating a touch of pearly shimmer found in a highlighting facial product. I didn't detect any illuminating properties in this brightener. The gel functions as a treatment to remove puffiness and help eyes look refreshed. It also acts as a fantastic primer for the concealer in the cap or whatever concealer you choose. The brightener is the real strength of the duo. What makes the packaging design compact and visually appealing can present some difficulties for use. The concealer portion is contained in the cap. I advise navigating application using the following method: Unscrew the cap from the tube, remove the clear lid and pat the concealer stick under the eye. Blend the color with your fingers. Undercover Agent is available in three shades: Light, Medium and Tan. I tested the light tone and found it perfect for porcelain skin. 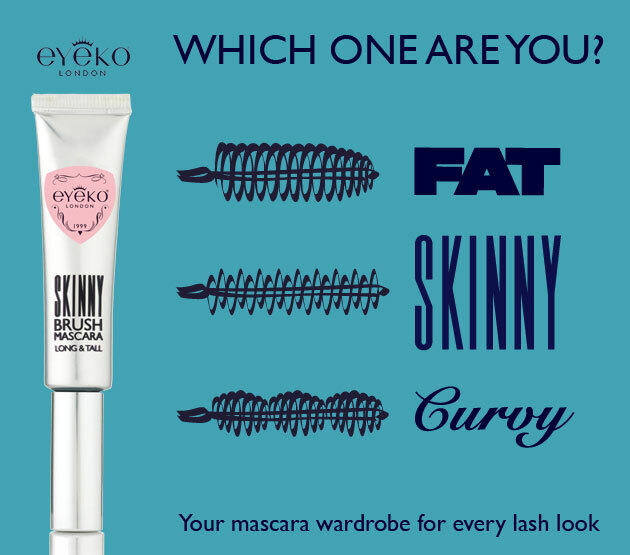 It offers just the right balance between being light enough to camouflage dark circles, but without being so white as to create pale moons under the eyes. The concealer provides medium coverage. The width of the concealer stick is well designed for the the undereye area. I do wish the packaging allowed for a little more product than what the lid can hold. The consistency of the concealer is on the thicker side. Dry skin will definitely require the brighter as a first layer to help the concealer smooth into the skin. It's necessary to start with a moderate amount to avoid the concealer settling into the lines around the eyes. While it can be easy to get carried away when concealer is in a stick form, Undercover Agent requires a light hand. I think this product would be best for use to cover dark circles rather than fine lines. I would recommend the concealer portion more for young skin. For ladies with mature skin who are looking to camouflage fine lines, I feel the brightener would be useful as a first layer under your regular concealer. Undercover Agent is an interesting concept. Although a little tricky to work with, the concealer does help hide my tendency to keep late hours. I absolutely love the brightener as a daytime treatment and primer. Hard Candy Undercover Agent was sent to me for review. For more information about the full line of products, stop by hardcandy.com. This item can be purchased at Walmart retail locations and at walmart.com. The retail price is $6.00.